We are family owned and operated and strive in offering quality work to all of our customers. With our high standards, we will ensure that you will be taken care of. We can help you make the BEST decision for repairing and replacing your roof on your home or business. Alpha repairs and replaces both residential and commercial roofs. We have decades worth of experience to offer the best solution for your home and business. Sign up for a no-obligation consultation, email us, or call us for more information! Welcome to Alpha Roofing & Construction Inc! There is a reason why Alpha Roofing & Construction Inc. has become a trusted roofing contractor in Oklahoma City. We have been serving our community with expert workmanship since 1987. As a family owned and operated business, we take pride in offering quality services. Our technicians and staff provide 100% customer satisfaction. By holding ourselves to the highest industry standards over the years, we have proudly grown our business through the referrals of many valued and happy customers. If you are planning new commercial or residential construction in the Oklahoma City area, look no further. With over 25 years of experience, our team of experts can meet the demands of any project. Give us a call in the initial planning stages and we can help you make educated roofing decisions that will deliver excellent results and save you money. Whether you are looking for composition, metal, wood or tile roofing materials, we offer only the finest quality brands including GAF, Owens Corning, Malarkey, Tamko, and more. 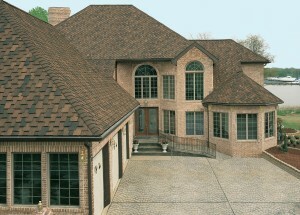 All of our manufacturers are top-of-the-line and offer sophisticated and well-engineered roofing systems. 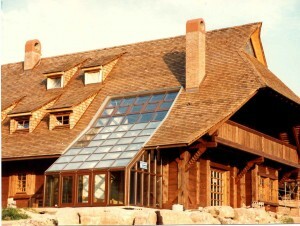 Because of this, we can bring you a wide range of choices to suit any of your roofing needs. Alpha Roofing & Construction Inc. also offers roofing replacement and roofing repair services. You want an experienced contractor who can complete a comprehensive evaluation that can pinpoint your current needs and anticipate future concerns. We have a skilled group of representatives who can offer knowledgeable advice on the type of shingles that best suit your particular roof and help you spot potential risks before they become problems. We are known for our honest maintenance and inspection services that will help you keep your roof safe and beautiful for years to come. If you need roofing repair or replacement due to storm damage, we are here to help! We have a licensed adjustor on staff that can help you evaluate your needs. He can offer you valuable experience as a mediator between you and your insurance company. This will ensure you receive full benefits to complete all the work necessary! His assistance will save you time and trouble. Besides new roofs, repairs, and replacements, we offer a range of other ways to assist you such as painting, siding, gutters and more. All of these additional services are offered with the same care and attention to detail. We have a highly qualified workforce that can assist you. 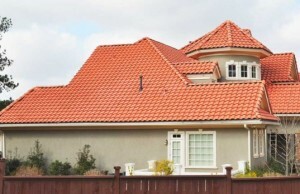 So, no matter your roofing needs in the Oklahoma City area, we invite you to contact us today. Customer service and your satisfaction are our top priority. We are located at 404 W. John Kilpatrick Service Rd, Oklahoma City, OK 73114. Or, you can give us a call at (405) 521-8333 or (918) 428-7663. Our hours are Monday-Friday 9:00am to 6:00pm. We look forward to hearing from you and would be delighted to show you why Alpha Roofing & Construction Inc. is a wise choice for all your roofing solutions.